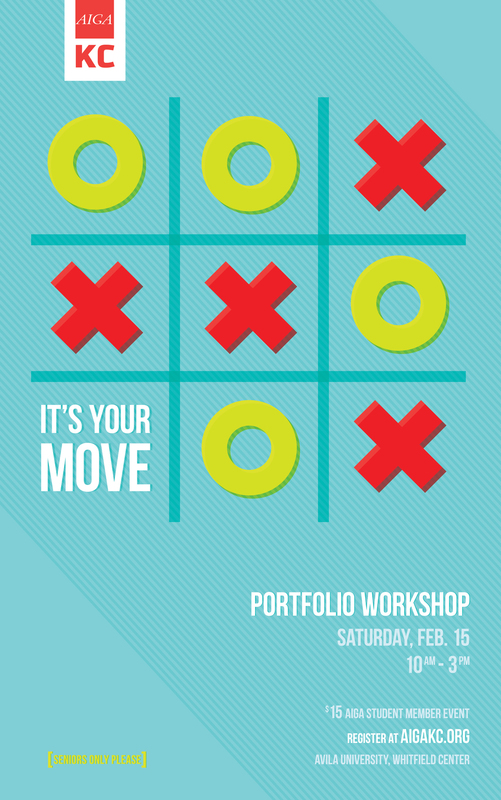 Yesterday I went to AIGA KC's annual portfolio workshop. Last year's event was open to juniors and I received a lot of helpful feedback about the portfolio I used to apply for internships. This year, I was happy to be able to attend again and get some insights on my senior portfolio. Not only was this a great opportunity for me to practice speaking about my work, it was helpful to gain some outside perspectives on projects I have looked at so many times. In the next few weeks I will be implementing changes to some projects based on the feedback, and of course this will also mean some updates to my website. Thanks AIGA KC!